On Lamor Rd. just north of Rt. 18. This was the McDowell farm, built around 1860 or so by McDowell who came from Ireland to work for Pierce, the Sharpsville industrialist. 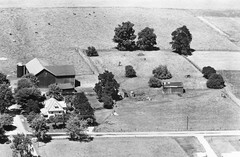 This farm had property east and west of current Rt. 18, and Pennsylvania took some of its land to build Rt. 18. The larger barn for this sat across Lamor road on tho NE corner of Valley View and Lamor Rds. When this house was built. 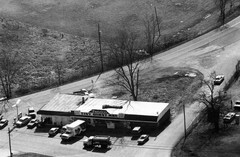 Valley View Dr. was the main road north to Clark, PA. Rt. 18 came later. 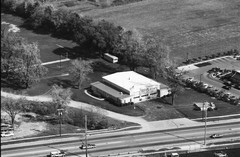 This was later owned by Lamont, for whom Lamont's Corners (Rt. 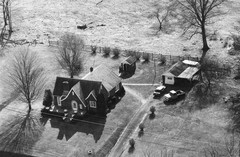 18 and Lamor Rd., or possibly Valley View and Lamor) was named. This property sat about where the access road off Lamor to the Sheetz station is in 2018. The fenced area at the top of the hill is about where the go-kart track is now, overlooking the Sheetz station. 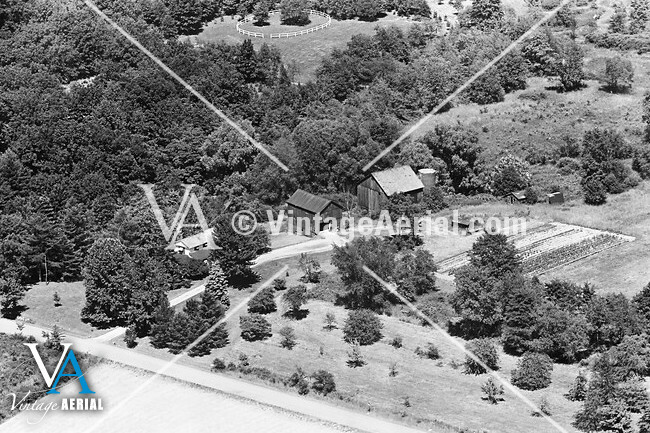 In 1965, and at least since 1947, this was the Arner farm at 2080 N. Keel Ridge Rd. 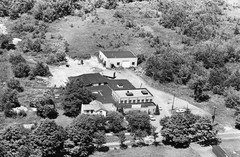 Hickory Twp (now Hermitage) PA. My father Melvin Arner lived here when he graduated from Hickory High School in 1947. This farm was owned by the Arner family until the mid 1980's. It is located on the curve on the short section of N. Keel Ridge that runs between Lamor Rd. on the south and Valley View Rd. on the west. 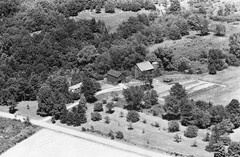 The circular fenced in area at the top of the picture is on the Judge Leo McKay property and was for their horses, is no where near the current go kart property on Rt. 18.